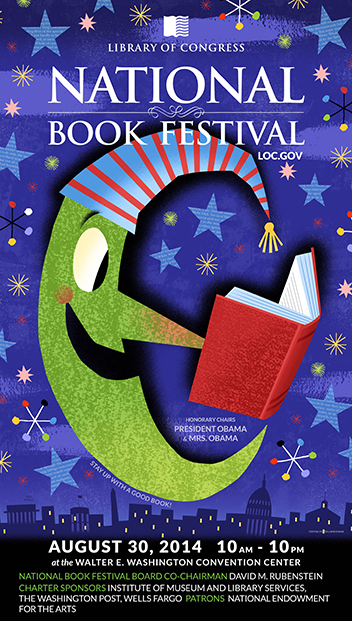 The 14th annual Library of Congress National Book Festival will be held at the Walter E. Washington Convention Center in Washington, D.C. on August 30, 2014. President Barack Obama and Michelle Obama are honorary chairs for the event. This year's festival will feature authors, poets and illustrators in several pavilions. Festival-goers can meet and hear firsthand from their favorite poets and authors, get books signed, hear special entertainment, have photos taken with storybook characters and participate in a variety of activities. Find a list of authors attending, hear podcasts, get a festival guide, and read all the latest news at Library of Congress.